Call it a lodging boom for Genesee County. Several hundred new hotel rooms are headed for the southern half of the county. Two new hotels are going up and more may be in the works. 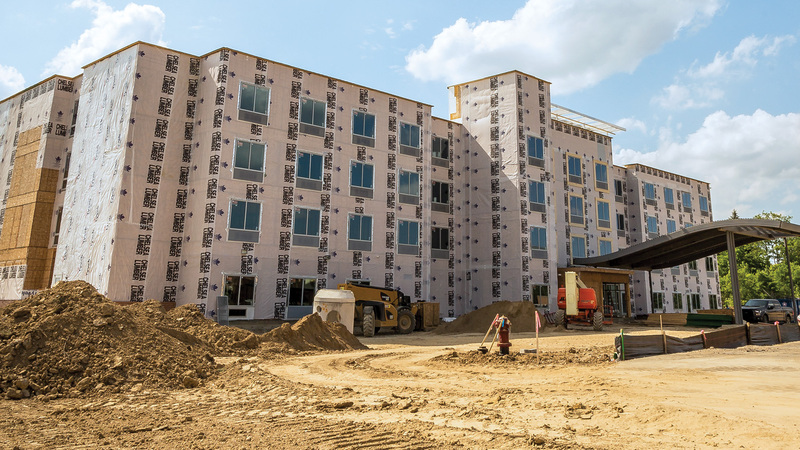 A multi-million Fairfield Inn & Suites in Grand Blanc Township and a $16 million Hyatt Place in Mundy Township are under construction and will feature 100 and 106 rooms, respectively. The properties will significantly add to the 1,640 hotel rooms in the county and help provide lodging for popular local events, such as the HAP Crim Festival of Races, new Ally Challenge golf tournament and the Back to the Bricks car show. A 96-room SpringHill Suites has received site plan approval along Hill 23 Drive South in Mundy Township, and another hotel near the Fairfield Inn along Holly Road in Grand Blanc Township is going through site plan review with the township. Plus, progress continues on bringing a new hotel to downtown Flint. The new brick and mortar hasn’t gone unnoticed by existing hoteliers in the county. Several hotels recently upgraded or are planning major overhauls to keep their rooms and properties fresh. Occupancy and revenue for Genesee County hotels increased by about 1 percent in 2017. But the results are even stronger in the first three months of 2018 compared to the same period in 2017, with occupancy up 11 percent and revenue up 6.8 percent, said Brandon Morgan, director of the Flint & Genesee Convention and Visitors Bureau. An improving economy, Flint’s improving perception and corporate travel are aiding growth, Morgan said. “We have all these stories of people who are staying here for months as consultants in the automotive industry or they’re here to work for Diplomat Pharmacy or Hurley,” he said. In Michigan, the number of hotels has grown from 1,330 in 2016 to 1,392 this year, according to the American Hotel and Lodging Association. The four-story Fairfield Inn & Suites is scheduled to open in late October on Holly Road near Cook Road in Grand Blanc Township. It will include a fitness center, pool, whirlpool and sauna, meeting space for 150 and 24-hour market. It will employ about 25 people, said Victoria Leonard, regional director of sales and marketing for Pinnacle Hospitality Management Group, a growing West Bloomfield-based company that owns and manages hotels in Michigan. Its first property was the Quality Inn, adjacent to the Fairfield Inn site. In Mundy Township, a groundbreaking ceremony was held in May for the Hyatt Place. It’s set to open in summer 2019 at 5481 Hill 23 Drive near Meijer, said Callie Cain, vice president of sales and marketing for Mt. Pleasant-based Lodgco Hospitality, which owns and manages 19 hotels in Michigan and Florida. Hyatt Place, which is expected to create 20 to 30 jobs, will include an indoor pool, fitness room, bar, 24-hour hot food, outdoor patio with fire pit and 1,400 square feet of meeting space. The Best Western Plus in Mundy Township, formerly the Best Western Flint Airport Inn & Suites, has wrapped up a more than $1 million renovation to its 69 rooms, pool area and exterior. The hotel was named 2017 Hotel of the Year by the Convention & Visitors Bureau and has seen business increase since making the upgrades, Muraeky said. New aesthetics also have helped the Red Roof Inn Flint-Bishop Airport on Miller Road in Flint Township. Red Roof Inn General Manager John Hakim said owners about a year ago sunk a half-million dollars into the 107-room property, changing the furniture and flooring and more. Occupancy since the fall has jumped from 40-70 percent to near 100 percent, Hakim said. There are plans to redo the parking lot and improve landscaping this summer. 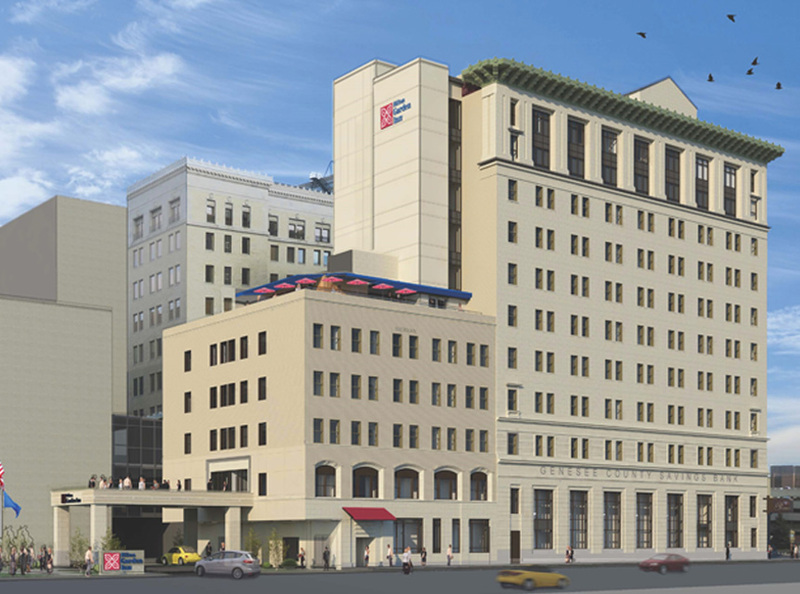 “I want this hotel to be the jewel it is,” Hakim said. In Grand Blanc Township, the Wingate by Wyndham Flint/Grand Blanc also has completed a renovation and Holiday Inn Express & Suites on Regency Park Drive is in the midst of an upgrade, Morgan said. Renovations are slated for several other hotels, including the Hampton Inn and Suites next year. The Courtyard by Marriott Flint Grand Blanc and Residence Inn by Marriott Flint Grand Blanc, both in Mundy Township, are expected to undergo top-to-bottom facelifts, including room redesigns and new furniture, said Kimberly Marme, general manager of the Residence Inn, an Aimbridge Hospitality property. The renovation at the 102-room Courtyard, which also includes revamping the bistro and lobby, is slated to begin in November and last into early 2019, Marme said. Work at the 87-room Residence Inn, an extended stay hotel, will follow around April 2019 and last a few months, she said. Renovation projects show existing hotels are confident in their business, Morgan said.